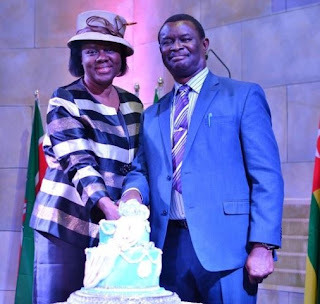 Famous dramatist and evangelist couple and founders of Mount Zion ministries, Mike and Gloria Bamiloye, have just celebrated their 30th wedding anniversary at RCCG House on the Rock parish, Grand Prairie Texas. The notable couple who are both actors, and evangelists met at Oyo State College of Education, Ilesha-Osun state. Their marriage is blessed with three children; Damilola, Joshua and Darasimi Mike-Bamiloye.